This Focus antique brass finish 4 light split ceiling spot light bar is modern, attractive and versatile. 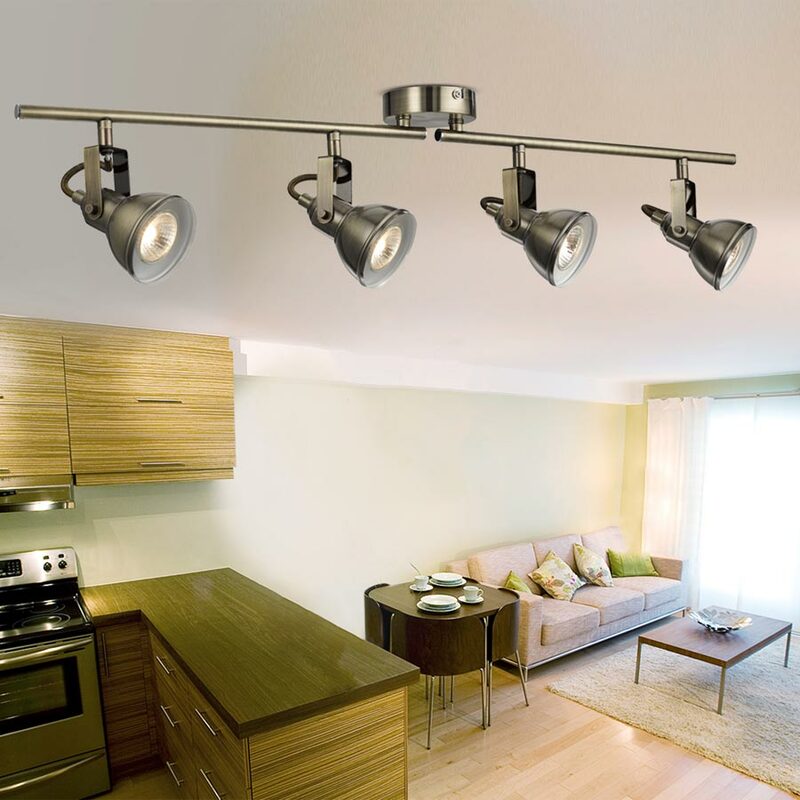 Featuring a circular ceiling mount, two adjustable bars and four fully adjustable heads. The spotlights feature a stirrup mount, braided flex and domed heads. Ideal lighting for any kitchen or study. A stylish ceiling mounted spotlight bar with a hint of industrial style that is a source of directional light for any room in your home. 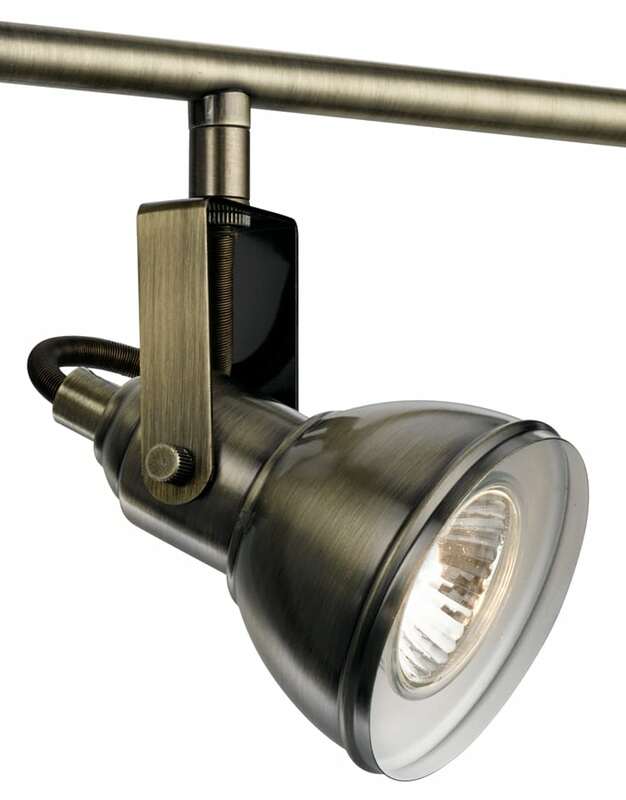 The four adjustable spotlights are mounted across two adjustable arms, which pivot around the central disc and the antique brass finish gives the fitting a classic look. There are matching fittings in the antique brass finish Focus spot light range that includes a switched single wall light and three-light ceiling plate; please see below. This ceiling light is supplied by Searchlight who manufacture some of the best traditional and modern classic designs such as the Focus antique brass finish 4 light split ceiling spot light bar you see here.